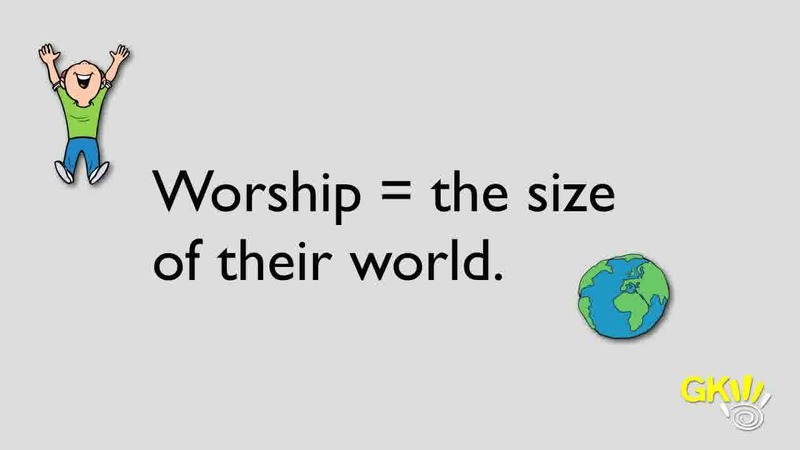 Myth 1 – Worship takes at least 20 (or 10 or 15 or any set number of) minutes. Reality – Worship is an attitude, not an event. How long is an attitude? 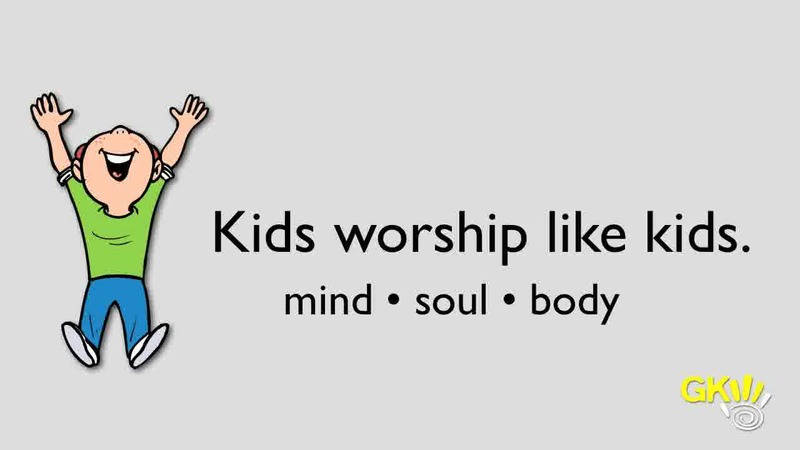 Myth 2 – Real worship can only start in the youth department. 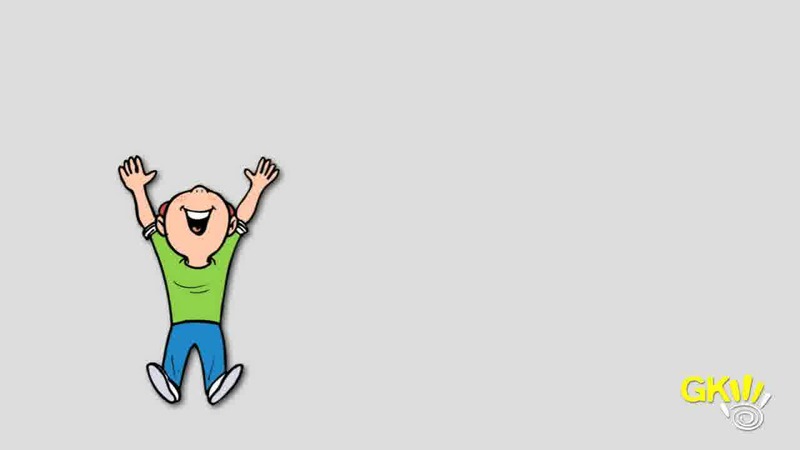 Reality – Psalm 150 says, “Let everything that has breath praise the Lord.” Is anybody breathing in the kids ministry? Let’s hope so. 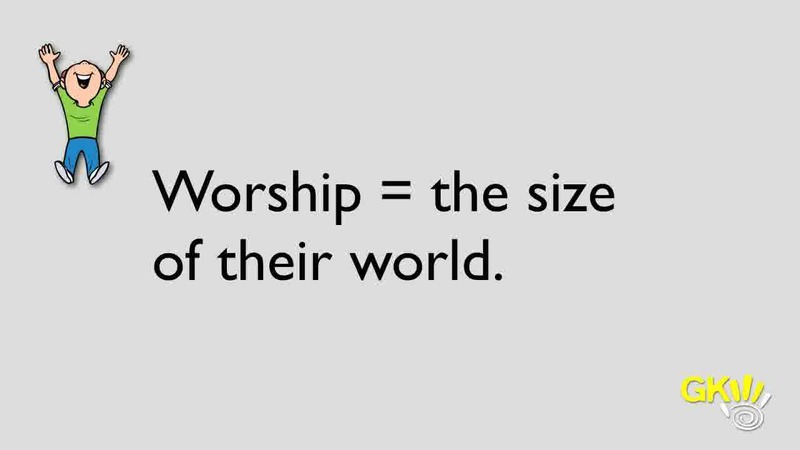 There is no lower age limit on worship. Myth 3 – Worship is learning to sing lists from the Bible. 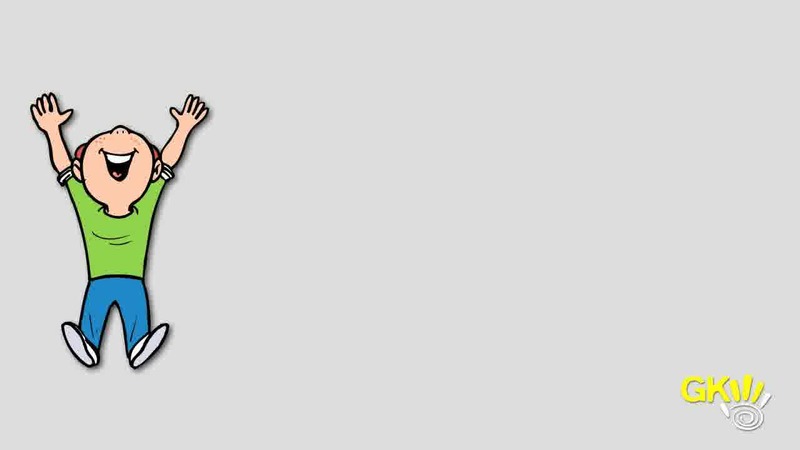 Reality – Learning lists is… well, learning. Worship is telling God you believe him to be who he says he is in the Bible. Ever see God described as, “the One who teacheth me lists of things”? 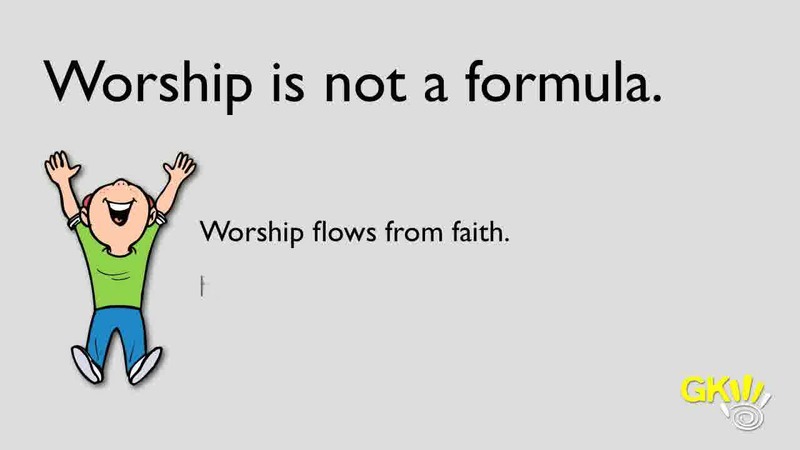 Myth 4 – Worship songs must be about the same thing as the message. Reality – Worship and messages have different purposes. One pours information into kids, the other pours love into God’s open arms. Don’t try to force them to do the same thing. 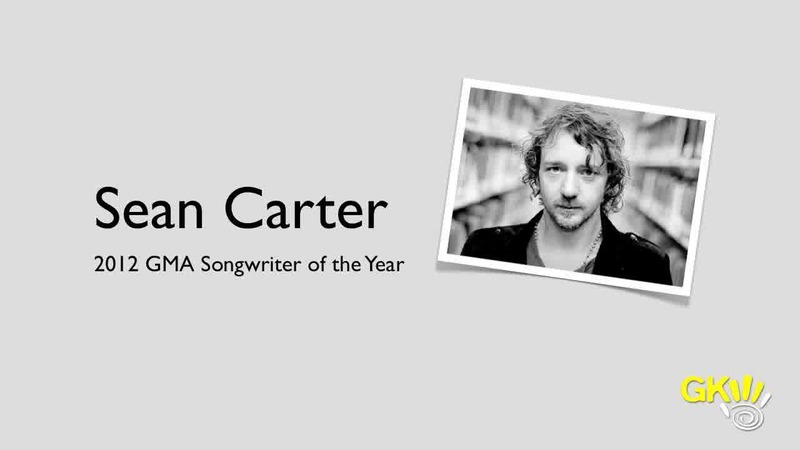 Myth 5 – We can just play a (name the artist) CD and show lyrics with PowerPoint. Reality – not if you want to sing along. Most recording artists have a hard time hitting their own notes. Why inflict that on your kids? 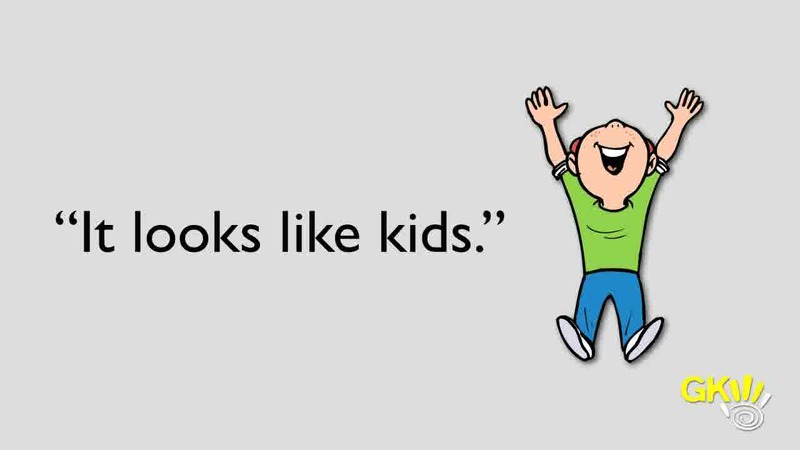 Get music that kids can actually sing and they will take the song with them in their heart. Myth 6 – You need a talented/gifted music director. Reality – While that’s always nice, the whole “make a joyful noise” thing pretty much blows that out of the water. There are no recommended musical skills listed in the Bible in order to worship God. 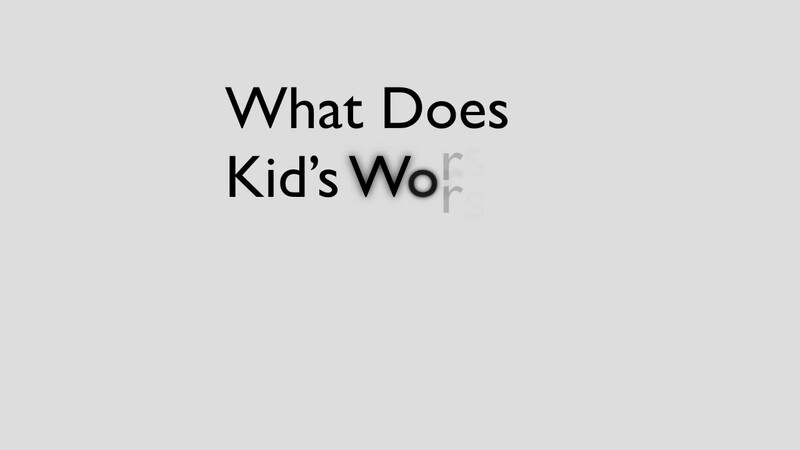 Bob Singleton is the head worship guy at God’s Kids Worship, and thinks it’s ok for kids to have really noisy worship. 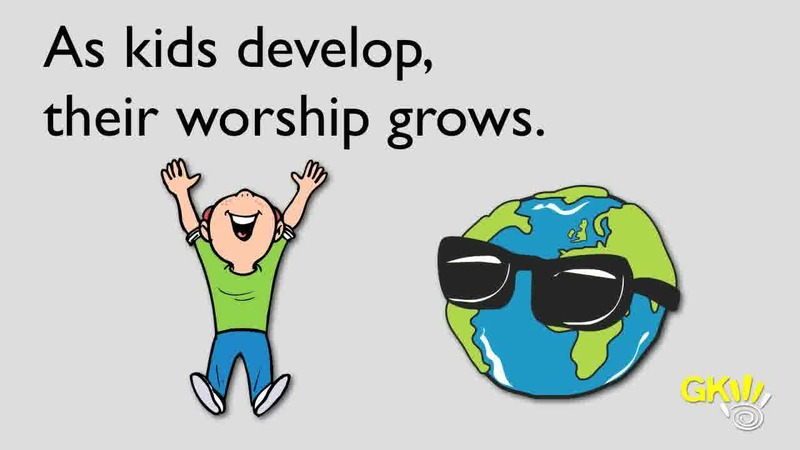 we have worship music that is crafted for kids and boxed up in a form to make it easy for ministry professionals and kidmin volunteers to lead the worship time. We pray for the children you’ve given into our care this weekend. May they look at us, and see Jesus. May they feel love, and know that it is the love of God. May they feel safe, and know that they are safe under your wings. For the children, we pray–more You, and less us. We pray this because you told us you want to hear our prayers. In the name of Jesus, the messiah, amen.